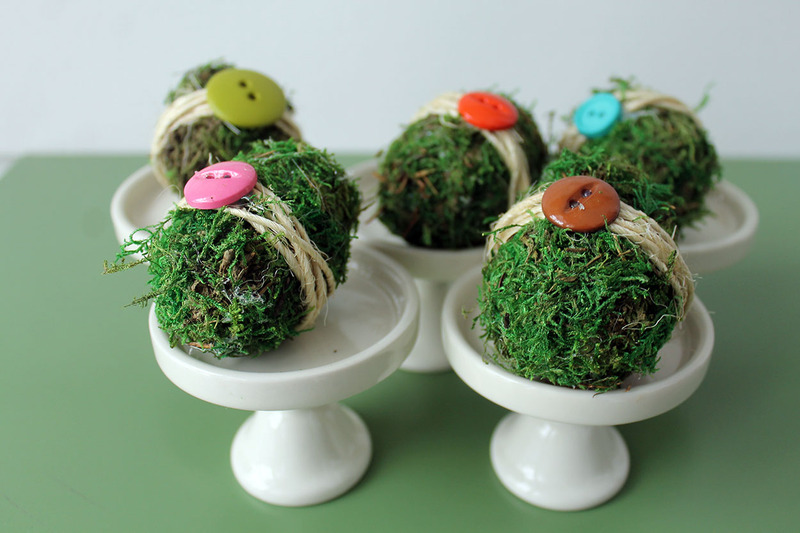 No matter how I decorate, these moss covered eggs are perfect for spring! 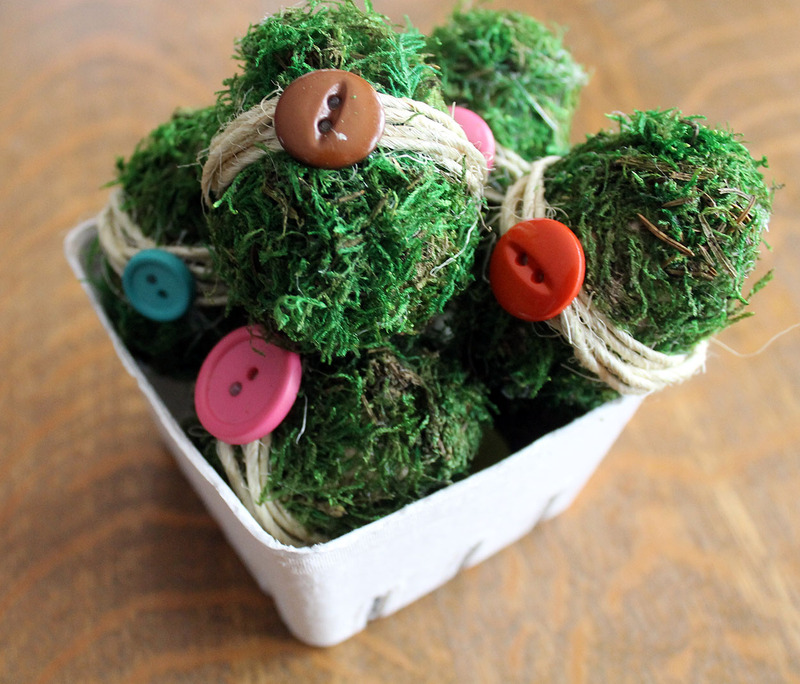 They are fairly easy to create using wood or plastic eggs, moss, a hot glue gun, twine, buttons, and scissors. First, break off some pieces of moss. 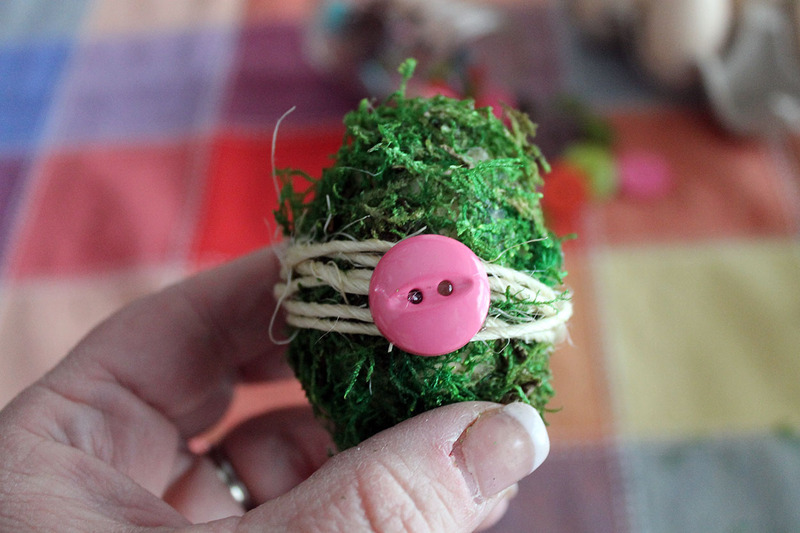 Then apply the hot glue to a small section of the egg, and cover it with the moss. 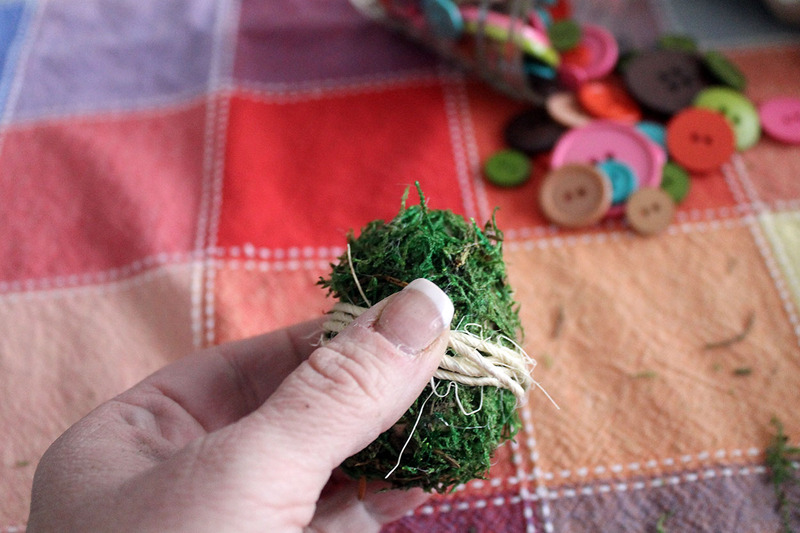 Press the moss into place over the glue. 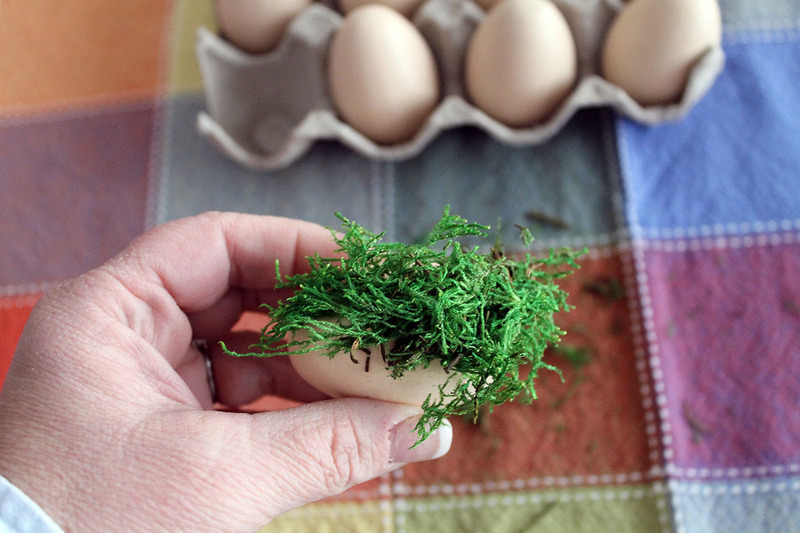 Continue doing this in small sections until the entire egg is covered in moss. 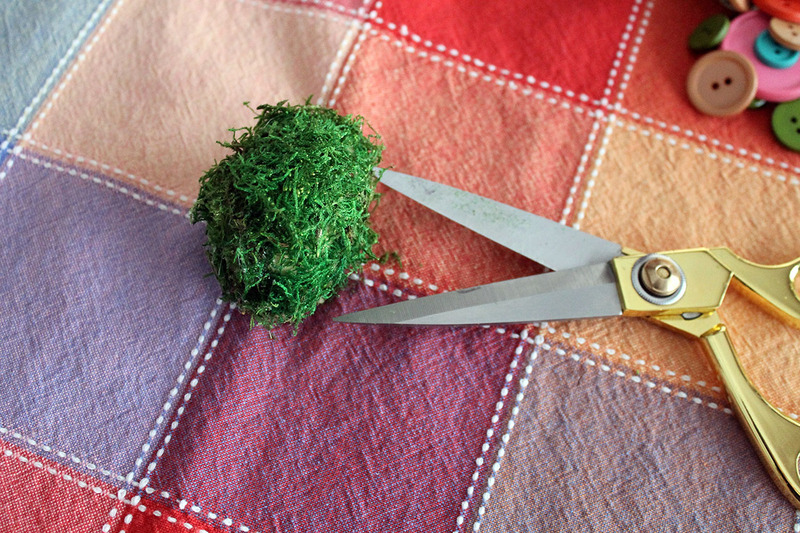 Once covered in moss, use scissors to cut away the extra strands of moss. 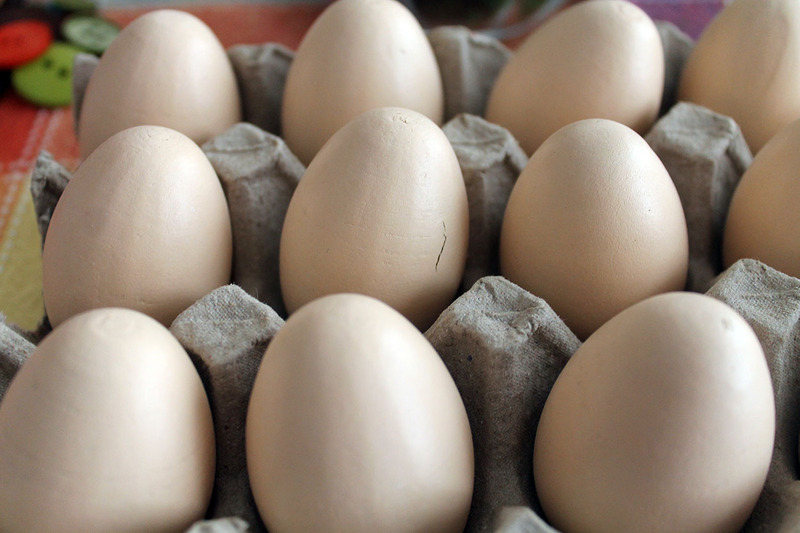 You may discover more gaps that need to be filled in after the trimming. If so, just glue more moss into place. 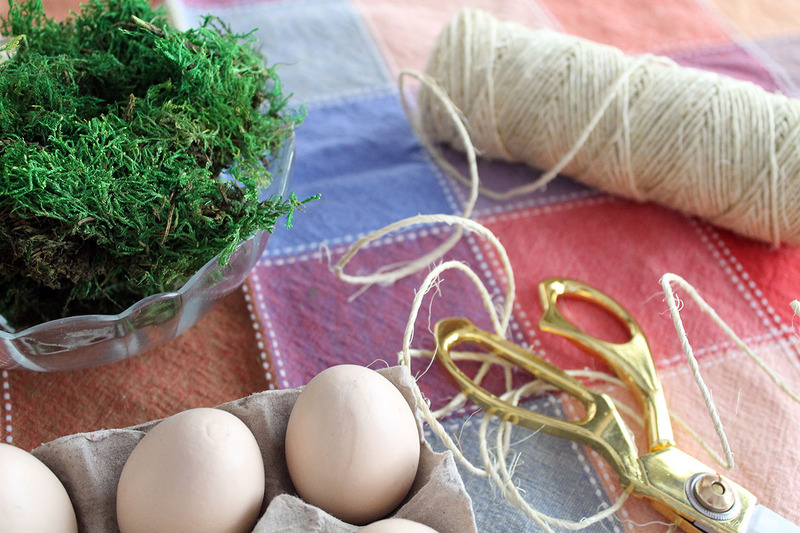 Wrap the twine around the egg a few times and secure it with a dab of hot glue. 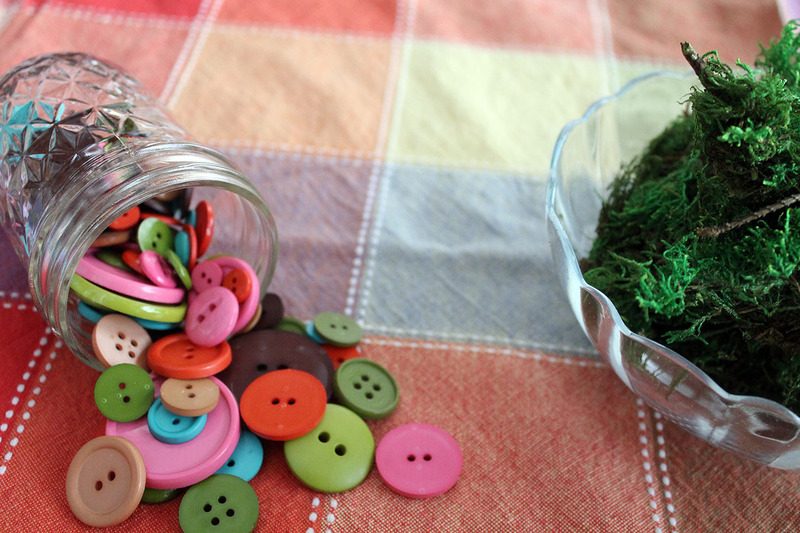 The finishing touch is the button…just glue it in place on top of the twine. 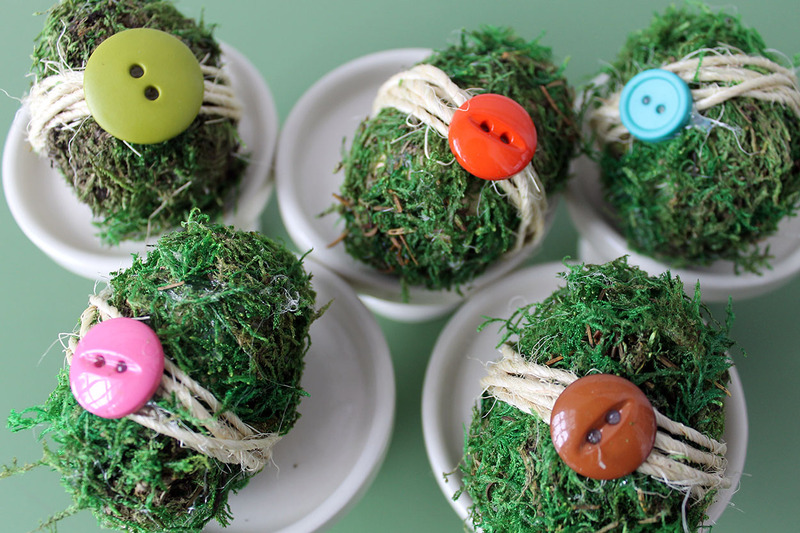 These moss covered eggs have such a natural look to them, and they just look so fresh and spring-like! 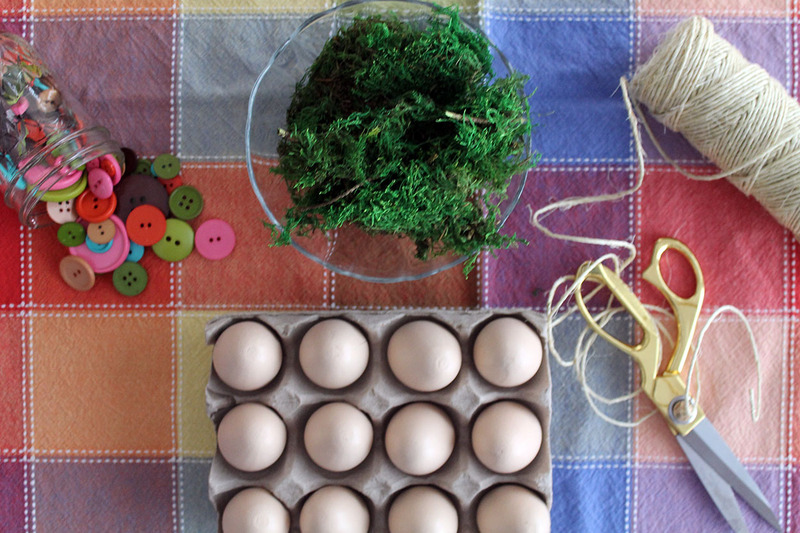 They are a bit messy to create, but they make a lovely Easter decoration. 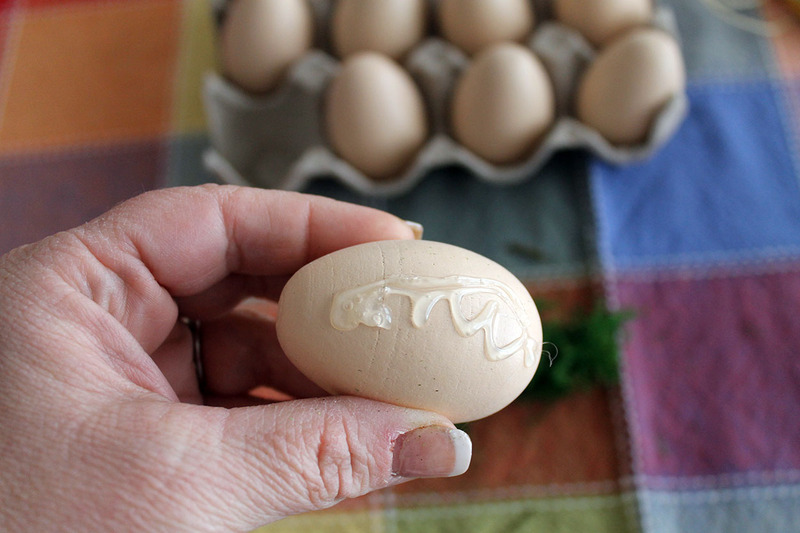 Display them in a basket or you could even use them for place cards settings on your Easter dinner table! I love the idea of a shamrock!